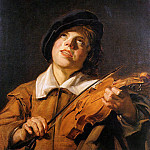 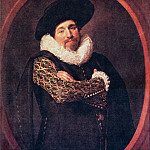 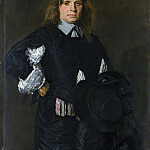 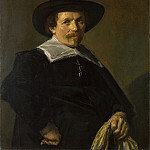 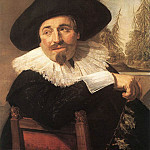 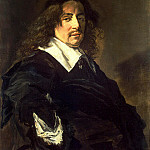 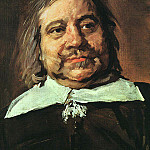 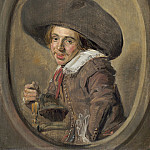 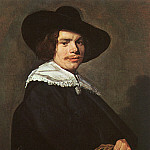 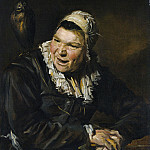 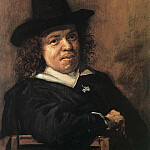 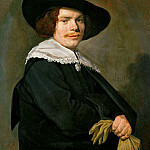 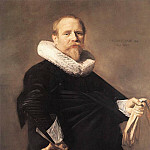 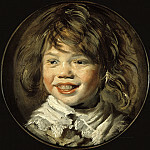 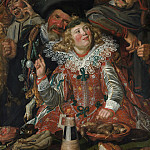 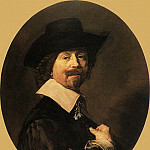 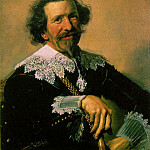 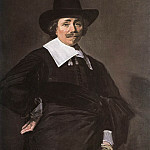 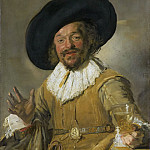 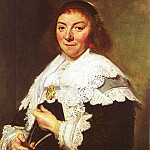 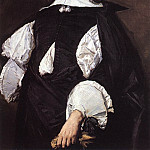 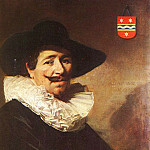 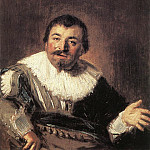 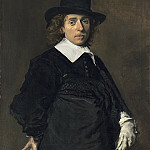 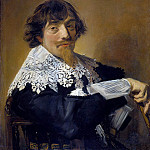 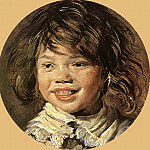 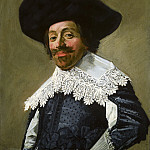 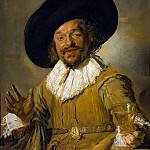 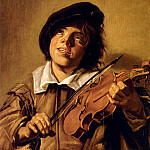 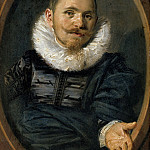 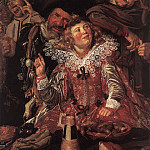 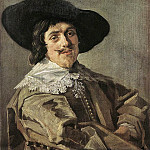 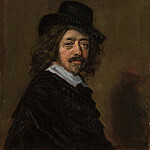 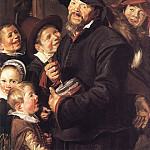 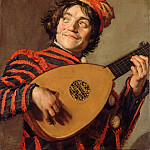 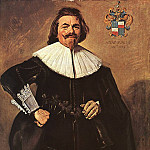 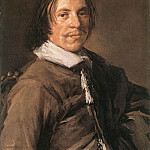 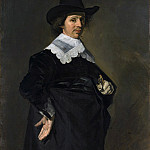 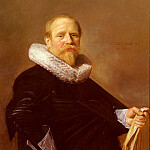 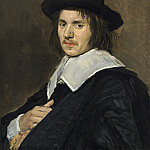 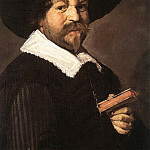 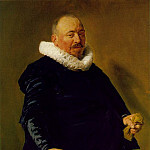 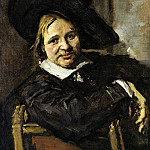 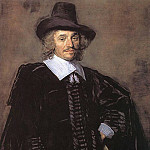 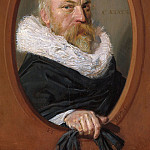 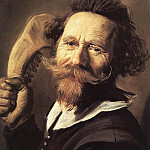 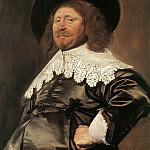 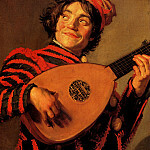 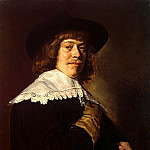 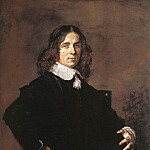 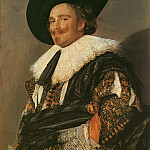 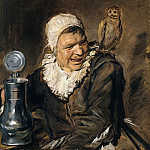 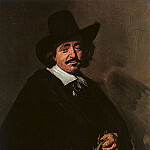 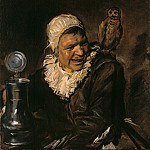 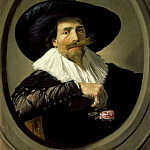 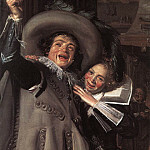 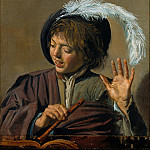 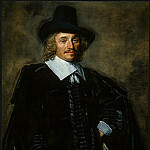 Renowned artist Frans Hals – genuine founder of Dutch art school. 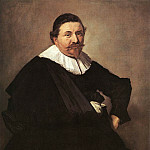 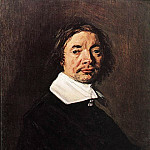 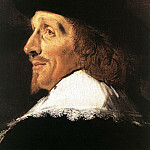 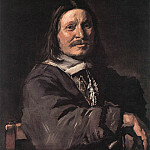 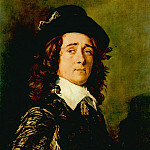 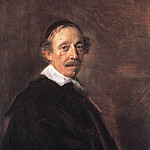 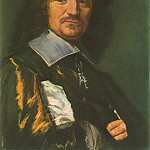 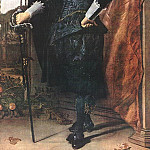 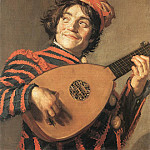 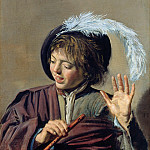 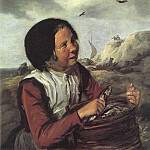 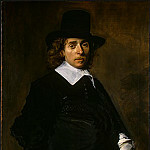 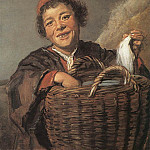 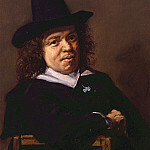 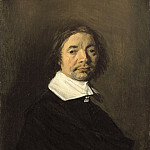 Many of his paintings are on display at the Rijksmuseum in Amsterdam. 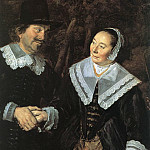 The most famous of them, "Portrait of a married couple, " which was created in 1621-1622 years. 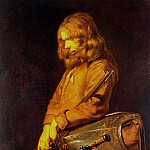 Те люди – навсегда остались. 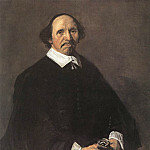 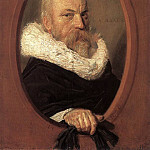 Earlier art models have tried to find the features of the master and his wife, but today, many suggest that Hals painted the portrait of Isaac Massa, merchant and cartographer who lived for some time in Russia, and his wife. 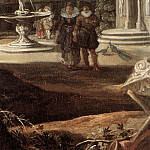 Canvas size, full-length figures, a fountain and a villa inspired by imagination, all this is the desire to write Khalsa work with the latest fashion. 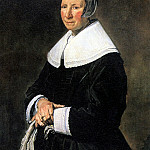 Hulse creates a formal portrait, which at the time was popular in European countries. 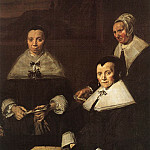 However, the burghers of Harlem, who commissioned portraits, was not a shadow of gentility required for such a case. 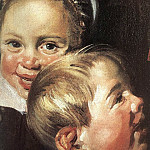 Hulse depicts a family couple with surprising candor and directness. 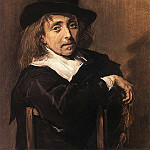 The artist does not seek to give grace posture men, but emphasizes his character, intelligence and some degree of sarcasm. 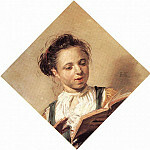 Freely he writes a fresh face, her cunning and simplicity. 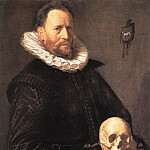 According to tradition, Hulse gives the symbols all subjects. 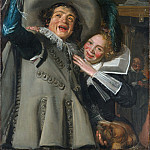 For example, he portrays honeysuckle with a woman and a small sprig of thistle near the men – who at that time were symbols of fidelity. 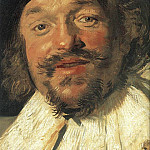 Portrait – the basis of paintings "Merry pal." 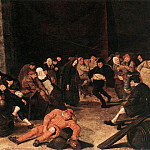 It is not known whether he was ordered or Hulse decided to do a portrait of verbose drunkards. 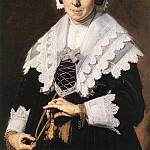 Light wine, soft folds of white lace collar, dark hat. 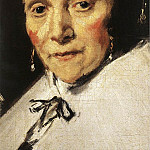 Gorgeous color reminds frame. 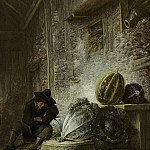 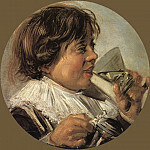 "Drinking buddies" – people type that Hulse often portrayed at the time. 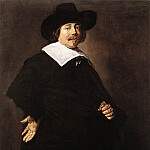 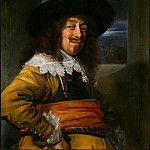 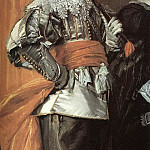 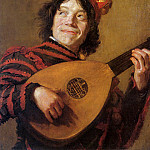 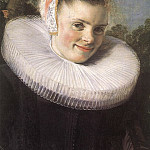 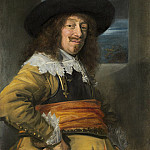 A model portrait of a strict "Maritge Foogt", 1639. 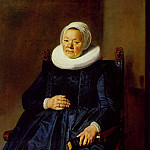 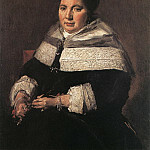 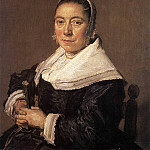 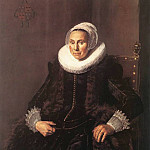 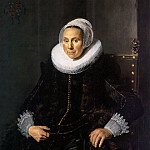 This is a portrait of an old woman, seated in a chair. 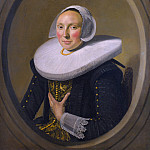 Her dress and cap are clearly visible on a gray background. 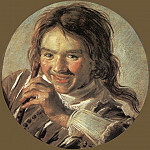 Smear artist confident and accurate. 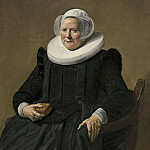 Old woman with kind eyes looks at us with a fine half-smile. Hulse wrote a portrait like skimping on composite tools, bright color and movement of the brush. 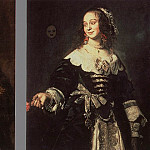 By the early works of the Khalsa are wonderful portraits Oleykana Jacob and his wife Aletta Hanemans. 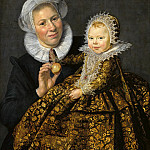 These portraits of the owners hung in the front room near the fireplace. 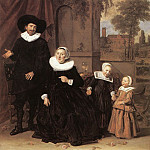 In the pictures had to be symmetry: the couple standing face to face, and calm posture wife mirrors the position of her husband. 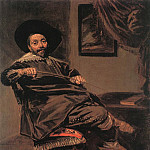 Master puts paint freely, sometimes leaving little rubbed ocher ground. 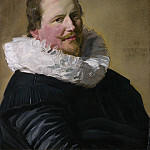 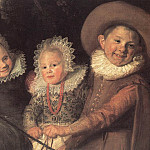 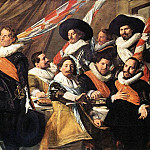 In the painting by Frans Hals place occupies "handwriting", quick strokes that make up a particular pattern barely noticeable on the whole space of the painting, bonding unity. 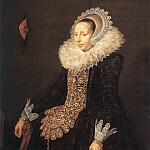 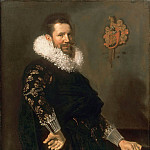 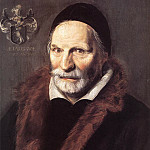 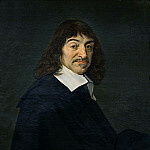 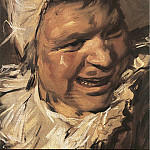 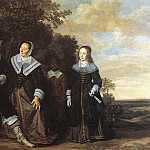 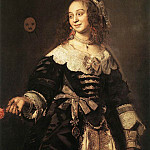 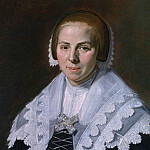 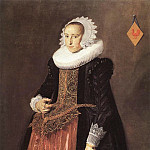 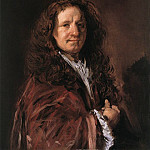 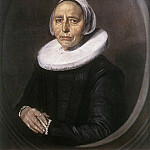 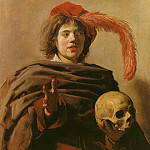 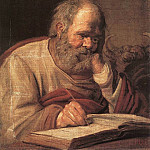 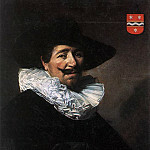 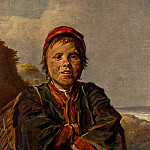 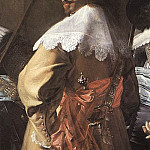 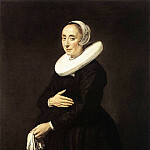 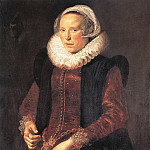 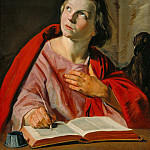 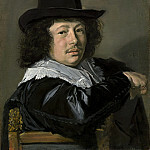 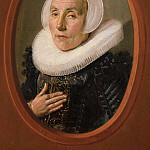 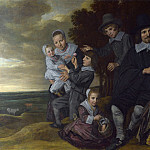 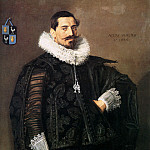 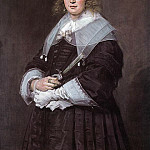 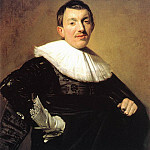 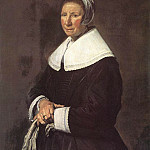 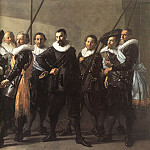 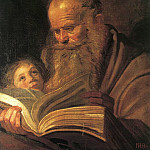 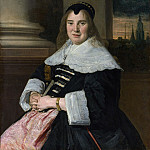 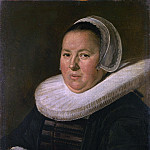 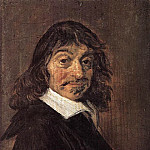 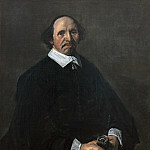 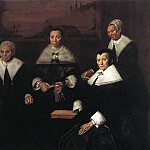 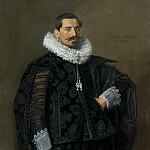 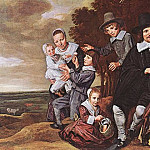 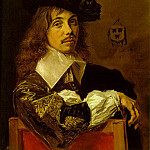 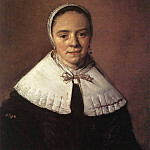 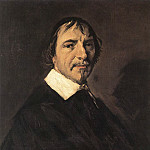 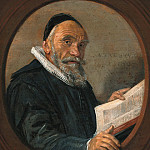 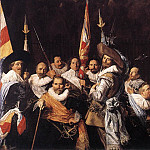 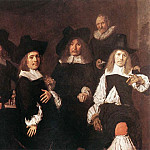 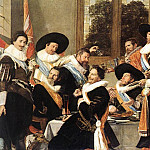 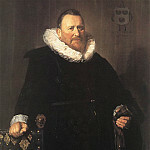 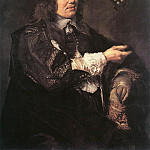 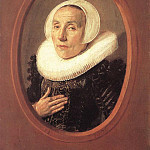 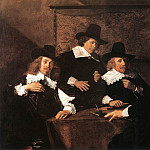 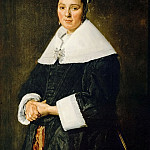 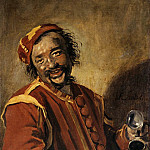 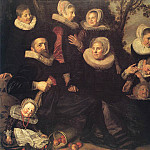 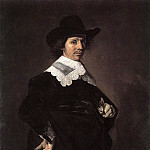 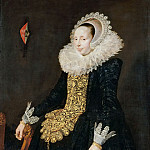 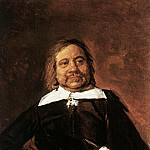 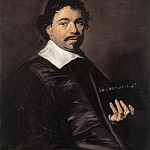 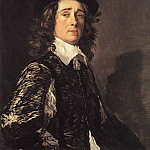 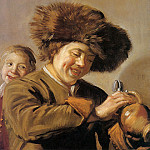 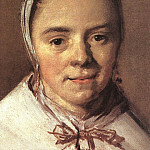 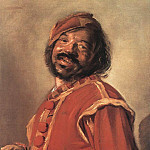 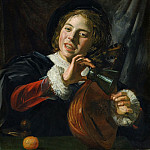 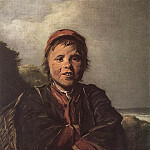 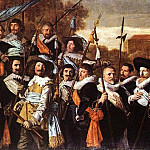 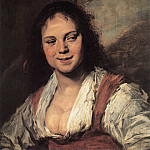 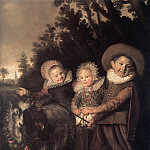 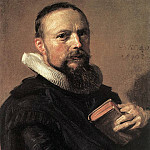 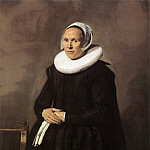 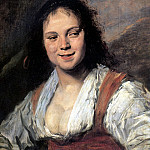 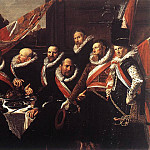 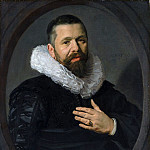 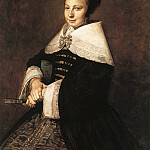 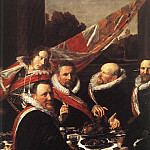 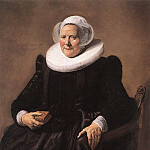 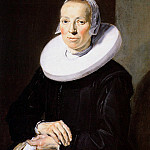 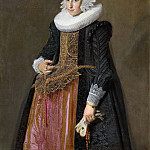 This can be seen in portraits from The Hague. 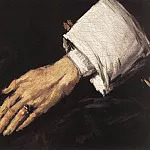 Volitional Oleykan and its possible ill spouse. 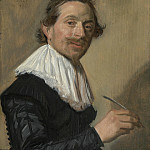 The artist enjoys his observation. Sharp dissonance to the paintings in 1625 we find in "Portrait of a Man." 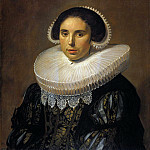 The customer is poor, it does not have the means to buy lace on the collar. 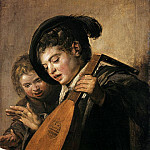 But there was something that drew the attention of a great artist. 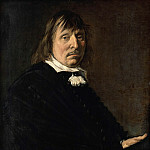 Hulse writes unfortunate man. 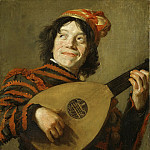 We can see the loser, not daring to qualify for something in this life. 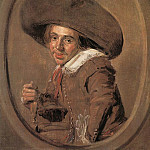 He desperately tries to be strongly and at least outwardly decent and "like everybody else." 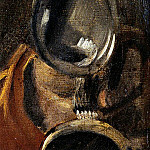 And the artist makes it a small portrait of a significant work that anticipates XIX century. 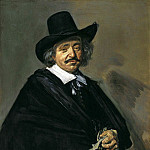 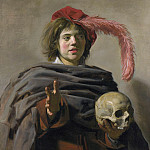 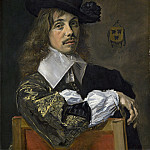 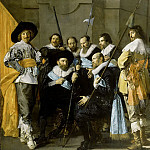 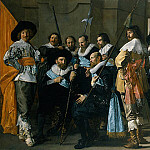 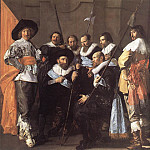 Master, as if his whole being, worries about the fate of his "hero" may Frans Hals, caught some similarities between him and his struggle for existence, leave it for the fame.